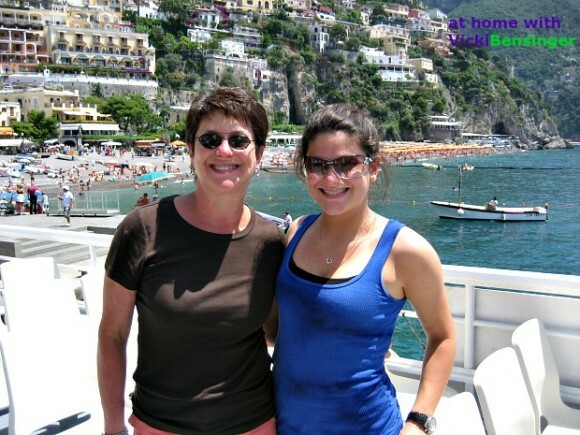 My daughter and I traveled to Italy almost 8 years ago starting from the Northern end and finishing up at Southern tip of the Amalfi Coast. Our trip was memorable and one I’ll never forget. While we saw every site imaginable by foot in each city and traveled by train to visit the next, the food was incredible, and as I recall, pure and simple. I would have expected to gain 10 pounds but instead lost five. What I remember most about the food were the most flavorful tomatoes I’d ever tasted, the freshest fish and the creamiest ricotta cheese. I’ve never been able to find tomatoes like those since returning to the states, or tasted fish like that served on the Mediterranean. However, I was able to recreate a homemade version of ricotta cheese that while it may not be as superior to that served in Italy, it is far better than what you can purchase in containers. 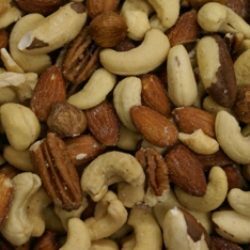 Believe it or not, it’s so easy to make that it seems pointless to purchase store-bought containers unless time is of the essence, and even then it takes virtually no time at all. Ricotta has been a traditional cheese of Italy for many centuries. It was originally a means to strip proteins from the whey following the primary cheese making process… Proteins that would have otherwise been lost in the whey. Traditional Ricotta is made by reheating whey (hence, the name “Ricotta” which means twice-cooked) and originated as a byproduct of the cheese-making process. In this process a live culture or an acid is added to the milk to lower the pH, the mixture is then heated. This heat treatment, combined with the effect of the acid, causes the precipitation of the curd. The collected curds are then allowed to drain, resulting in Ricotta cheese. 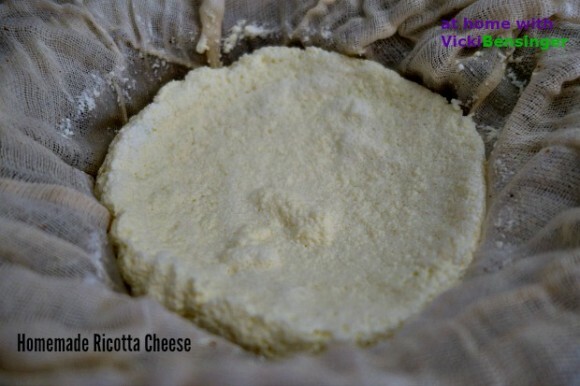 Ricotta tastes and smells like the milk it is made from, so use the best and freshest dairy you can find. You can control the consistency of your cheese by the length of time you drain it. You can use low fat or skim milk but it will be an inferior cheese compared to the previous methods. The version I’m sharing is made from organic whole milk. 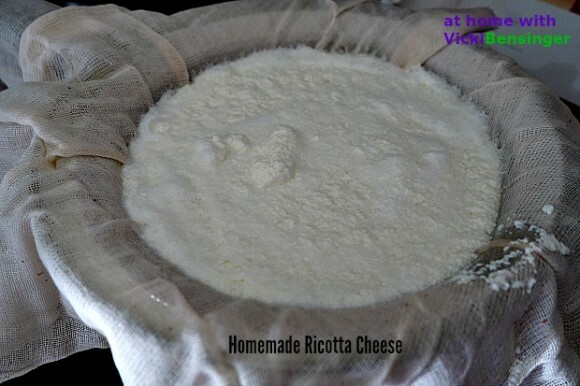 If you’ve never attempted making homemade Ricotta cheese please try it. The flavor is truly amazing! It’s not just for stuffing into noodles but can be used for desserts or sprinkled with fresh berries and honey. In my next post I’ll share a recipe using this homemade Ricotta cheese that I’ve been a fan of for years, so be sure to stop by soon. Once you try this simple homemade version that is so creamy and delicious you'll never want to purchase the store-bought containers again. 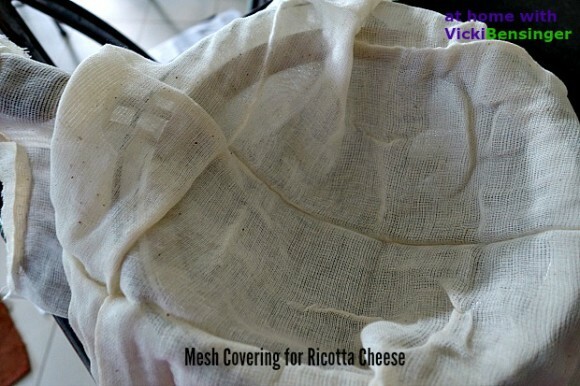 Line a large strainer with a layer of a fine-mesh cheesecloth and place it over a large bowl. and simmer, stirring constantly, until the mixture curdles, about 2 minutes. and let it *drain 1 hour. 4. After discarding the liquid, eat warm or place Ricotta into a covered container, and chill; it will keep in the refrigerator 2 days. * See note in the body of this article. About how much ricotta does recipe make? I realize it would depend on how long it drains – but even a ballpark would help. Thanks! This is something I’ve always wanted to do. Thanks for sharing your recipe and process!!! Love the pictures of you and your daughter! 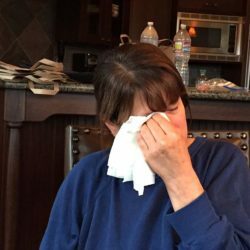 I remember when my mother and I went to San Francisco for about 10 days. It was awesome and a memory I cherish to this day. It’s so easy MJ you’ll wonder why you’ve never made it before. Traveling with your children or a special mother daughter or father son trip are trips one never forgets. Ricotta is embarrassingly easy to make, isn’t it? And I’m ashamed I don’t make it more often — what you make at home is better than most that you can buy in a store. Really great post, very clear recipe. Thanks! It is so easy. I think we often forget to make certain dishes when they’re just so easy to purchase ready-made. With Ricotta though there’s nothing quite as good as homemade. I could eat it with a spoon. 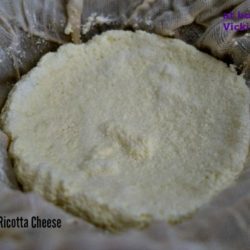 Didn’t realize that ricotta is this easy to make! Thanks for sharing, Vicki. It’s so easy Angie and so much better than what you buy ready-made in the stores. I’ve made ricotta—and a marvelous cheesecake using it. I was shocked how easy the process was. I remember my first trip to Italy in my 20’s. I vividly remember how much better their tomatoes and melons tasted! Oh I bet that cheesecake is wonderful. I’ll have to try that. Yes it is crazy how good their tomatoes are. Why on earth can’t ours taste that good? 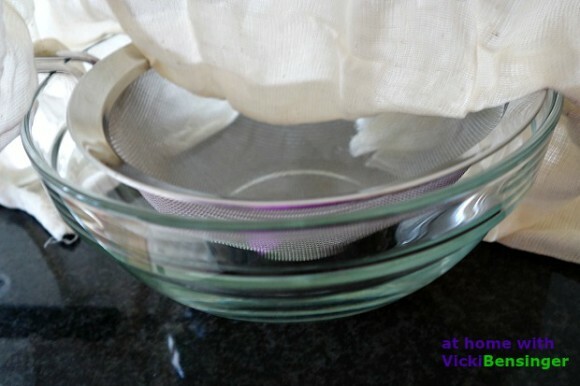 awesome, i used to make fresh ricotta cheese too…. 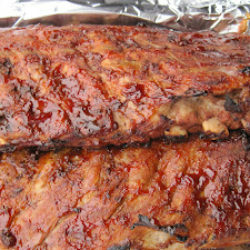 lovin it all the way…..
It’s amazing how much better the homemade version is and takes virtually no time to make. Oh that’s a cool picture of you and your daughter. I hope to have a vacation with my daughter someday, just girls! Is this how ricotta is made.We make paneer the same way. We squeeze all the water by pressing the cheese with something heavy and then cut into squares or any shape. Thank you, it’s always fun to travel one-on-one with your kids. My husband and I do it periodically. We will each take turns traveling with either our son or daughter separately, it’s always a great time and memorable. Your paneer sounds like our version of ricotta salata. I have a friend who spent 3 months in Italy last year and ate her way through the holiday expecting to be a balloon when she arrived home. She’d lost 5 pounds. I want to make this cheese right now! I think the key was that we ate but walked everywhere. I suppose if we ate all that we did and then just sat around doing nothing we probably would have put on 5 instead of losing it. Who could sit though with so much beauty to see. Can’t wait to make my lasagna even better! Oh yes, this would take your lasagna to an entirely new level. It’s super easy to make and even better to eat. Thank you, we had a great time traveling together. 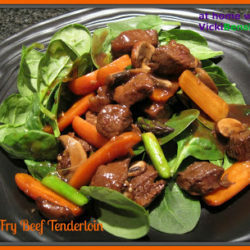 Thanks for sharing this interesting recipe. Do you rinse the curdled milk with water to get rid of the lemon taste?